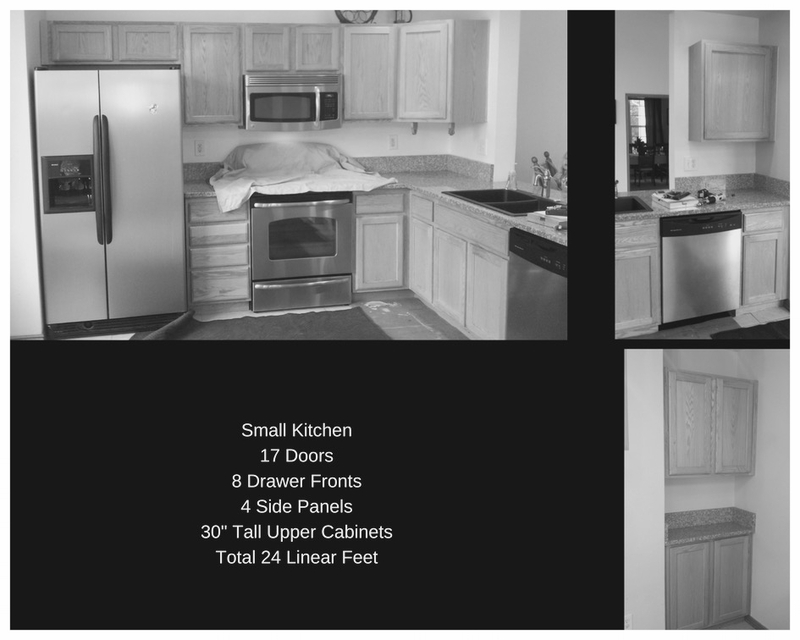 Below you will find photo examples of small, medium, and large kitchens each priced with two different options including budget & deluxe. These are priced with the lower & higher cost options to point out the major cost differences based on product selection and added upgrades in any given kitchen. While this guide won't provide you with exact refacing costs it should at least give you good idea of what to expect. This small L shape kitchen with additional inset section is a perfect fit for cabinet refacing. It features outdated builder grade oak cabinets with good layout and interiors plus already has granite counters and new appliances. 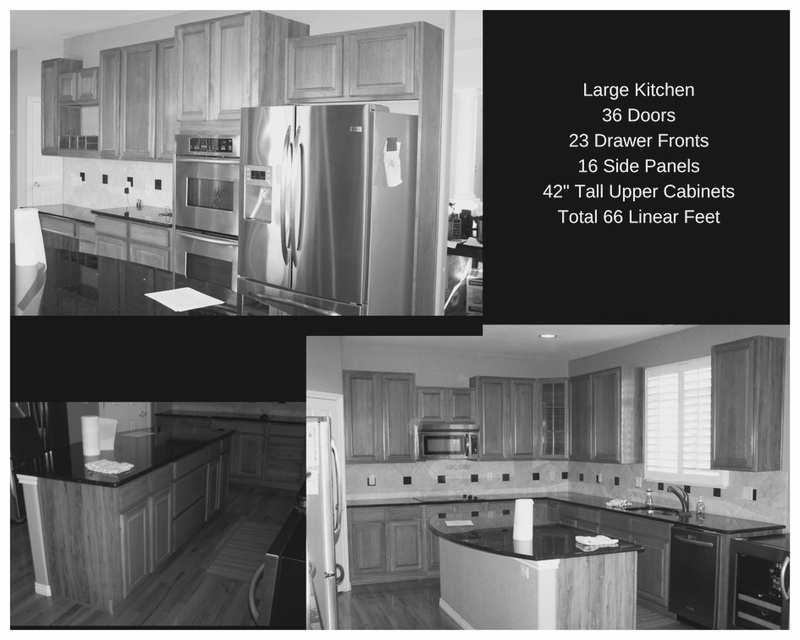 This medium size kitchen features outdated builder grade oak cabinets with good layout and interior condition. Refacing would make a major difference in this kitchen. This large kitchen is another good candidate for cabinet refacing. Features builder grade cabinets in great condition with granite counters and new appliances. No need for a complete remodel here, refacing can make a dramatic difference in kitchens like this. Thanks for checking out CCR pricing page. If you would like to get a more detailed estimate for your kitchen simply send a few photos to coloradocabinetrefacing@gmail.com for a quick easy quote.